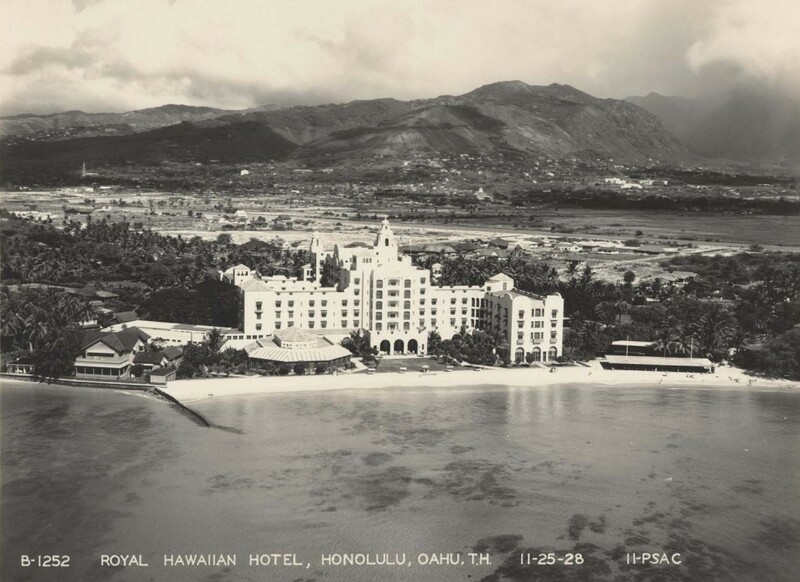 Known by many as the “Pink Palace of the Pacific” the Royal Hawaiian Hotel has become an icon on the shores of Waikiki Beach. This picture was taken just a year and a half after the hotel’s opening on February 1, 1927. 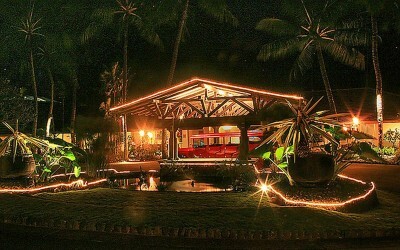 The Royal Hawaiian set the standard for the coming tourism boom. It was home to many famous “firsts” including thrusting “beach boys” into the limelight. Behind the hotel is Waikiki as it looked before it boomed with tourism and construction in the ’30s and ’40s.